1. A set of measuring spoons for those hard-to-guess amounts that add juuuuust the right amount of flavor. Get them from Amazon for $5.95. 2. 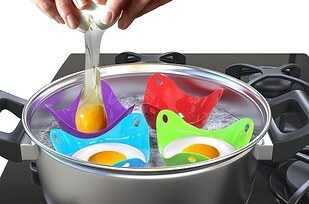 A set of silicone cups that make cooking perfectly poached eggs so much easier. 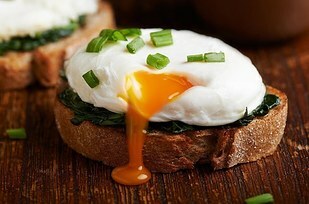 No need to swirl the water, no danger of breaking your yolk, no need to add vinegar! And you can even use these to make poached eggs in the microwave. Get a set of four from Amazon for $11.97. 3. A seven-in-one Instant Pot cooker that (deep breath) pressure cooks, slow cooks, makes rice, sautés, makes yogurt, steams food…. and also keeps your dinner warm. It’s like a little miracle you plug in. Get a six-quart Instant Pot from Amazon for $99. 4. A smart scale that pairs with an app to ensure you bake with perfection . 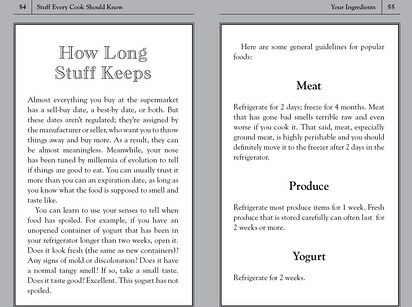 It automatically scales the recipe for your baking pan or number of servings. PLUS, if you add the wrong amount of an ingredient, it’ll tell you what else to add to fix it! 5. A cutting board with an infographic that makes sure you’re using the proper knife for the task at hand. Get it from Amazon for $21.99. Also available in cuts of beef and kitchen conversions versions. 6. A sushi-making kit that’ll help you roll like a professional. 7. A beautifully informative print that identifies and describes herbs and spices so you can kick your food up a notch when it comes to flavor. 8. A stuffed patty mold that’ll help you whip up a Jucy Lucy in the comfort of your own home — (you won’t even have to wear pants). If you don’t know what a Jucy Lucy is, you need to educate yourself. 9. 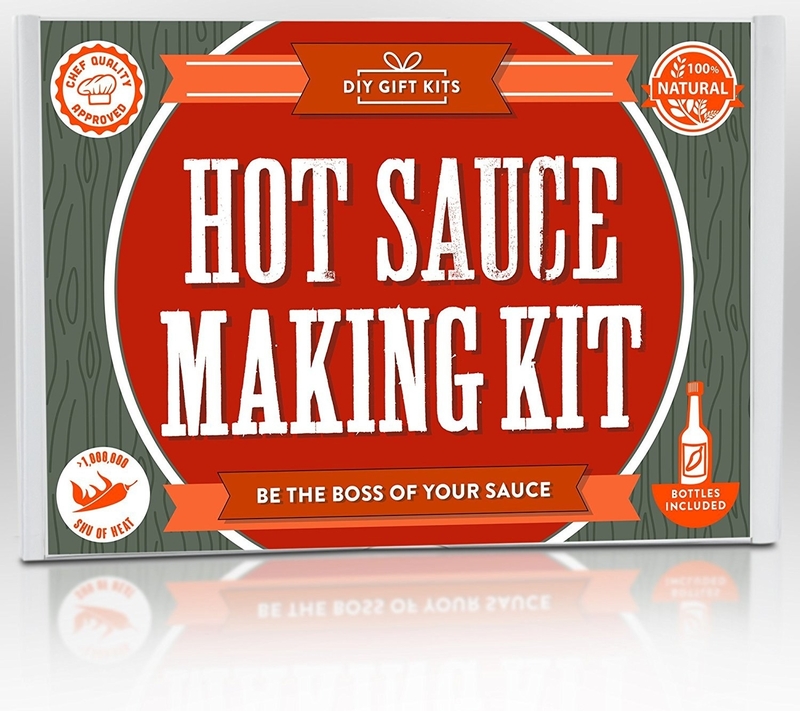 A hot sauce-making kit that’s the perfect activity for anyone who likes to keep things ~spicy~. 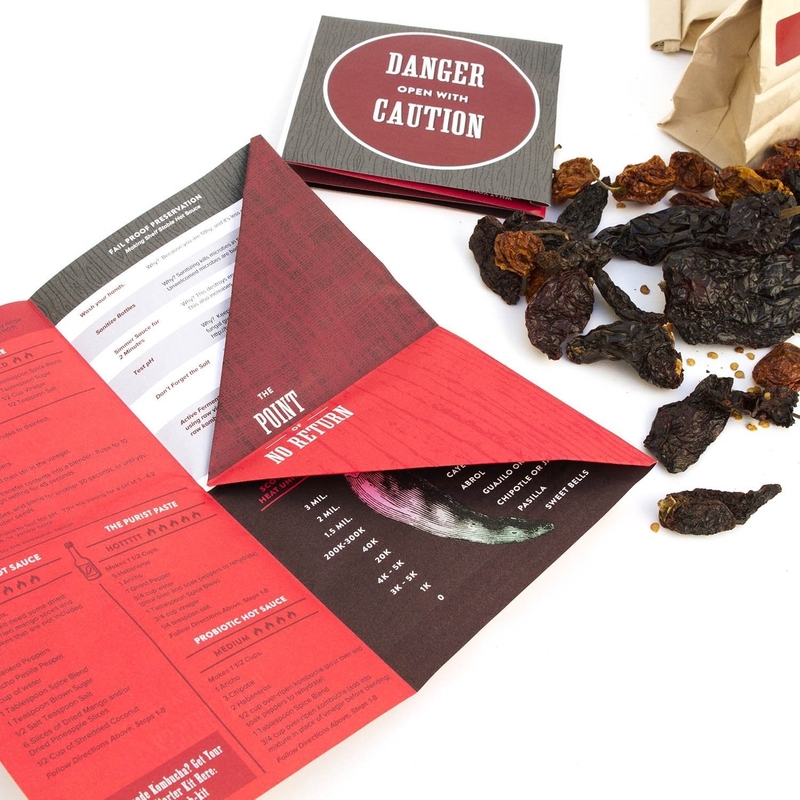 Like, so spicy these peppers come with warning labels. 10. An adjustable rolling pin that flattens dough to the uniform height of your choice — anywhere from 1/16” to 3/8”. No more wonky pie crusts or cut-out cookies that don’t bake evenly! Get it from Amazon for $16.02. 11. 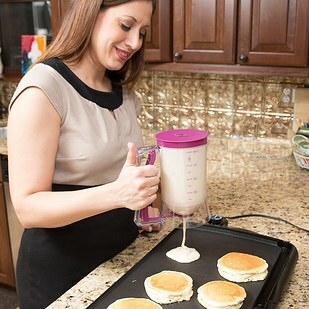 A batter-dispenser that makes cupcakes, pancakes, and muffins perfectly uniform . 13. A detailed cutting board that’s also a sizing guide for a proper dice, small dice, julienne, brunoise, and more. Get it from Amazon for $20.93. 14. 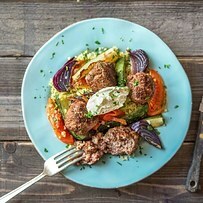 A Hello Fresh subscription that’s basically like a cooking class you can do at home. Perfect for people who love activities but don’t love human interaction with strangers. 15. 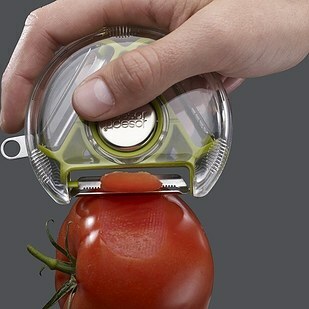 A four-in-one chopper that’ll keep you from shedding tears over some onions. No promises if diced onions ~actually~ make you sad. Get it from Amazon for $15.09. 16. A set of square rings that make fried eggs perfectly sized to top a piece of avocado toast. Get a set of four from Williams Sonoma for $19.95. 17. 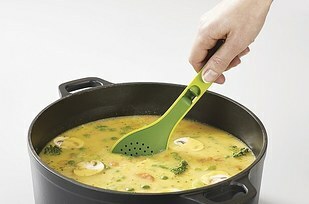 A greens stripper and infuser spoon that adds extra flavor to stews and sauces — without having to fish them out at the end. Get it from Joseph Joseph or Amazon for $5.99. 18. A citrus reamer that stores the extra juice for your next meal — because who wants to waste a whole lemon for just one teaspoon of juice? 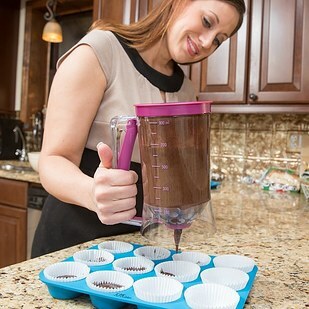 It also has amount markings so you don’t have to get another measuring cup dirty. 19. 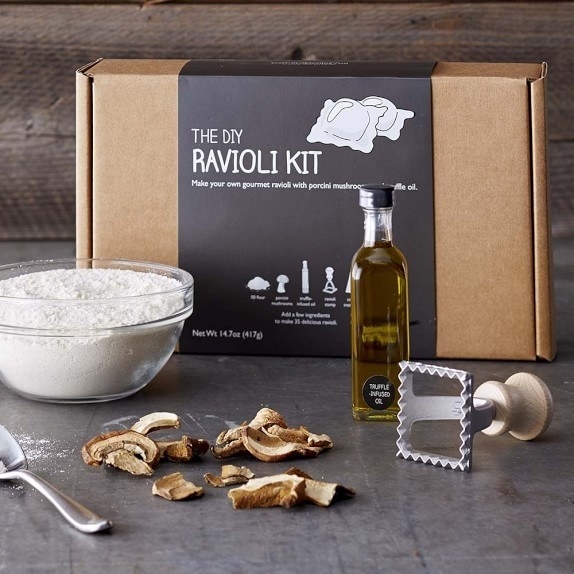 A gourmet porcini mushroom ravioli kit for any self-proclaimed fungi. When your stomach cries out for a fungus among us. 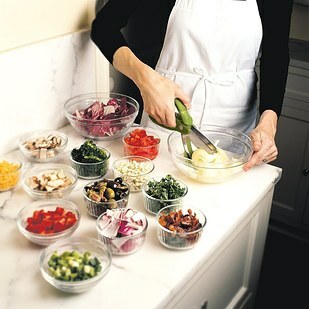 Get it from Williams Sonoma for $39.95. 20. A meat tenderizer and marinade injector that makes grilling the perfect slab of meat a no-brainer. 21. 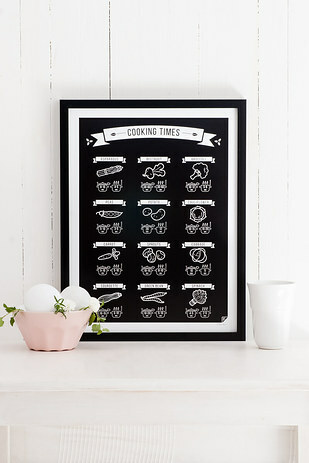 A pretty kitchen print that doubles as a cheat sheet for measurement conversions or veggie cooking times. 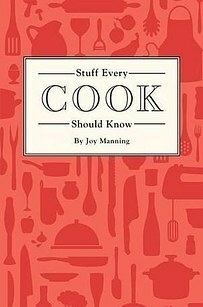 Get it from Follygraph on Etsy for $19 (conversion chart) and $14+ (veggie cooking times). 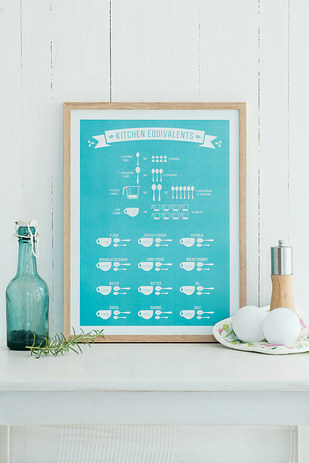 Check out their whole selection of kitchen infographic prints here. 22. A handy guide to the most important kitchen skills, from how long ingredients keep to how to plan a food budget to how to sharpen a knife. 23. 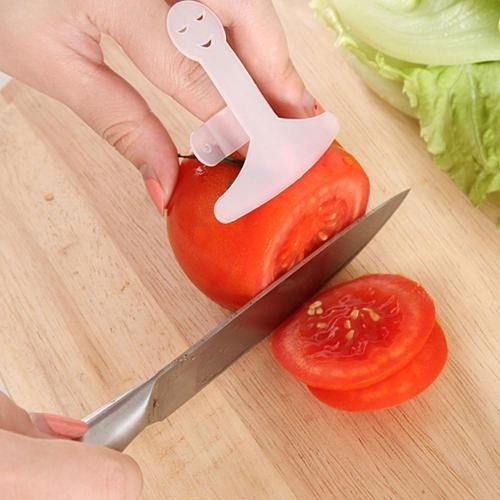 A little guy who’s thrilled to protect the fingers of any sloppy slicer. 24. 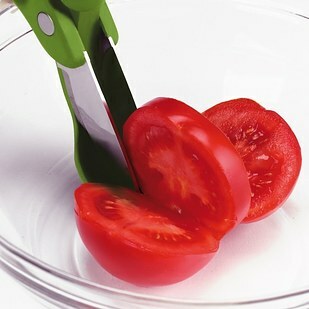 A triple threat tool that peels potatoes, soft foods like tomatoes, and also juliennes. 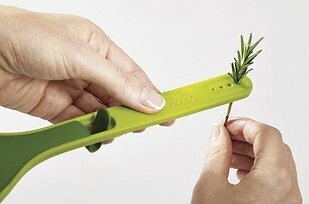 You can even use it to make li’l veggie noodles. 25. 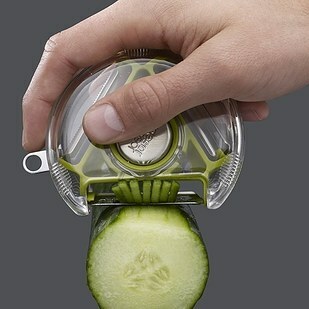 A scissor slicer that makes fast work of prepping produce. Get them from Amazon for $19.95. 26. A squiggly gauge that measures the perfect portion of pasta for your party. 27. 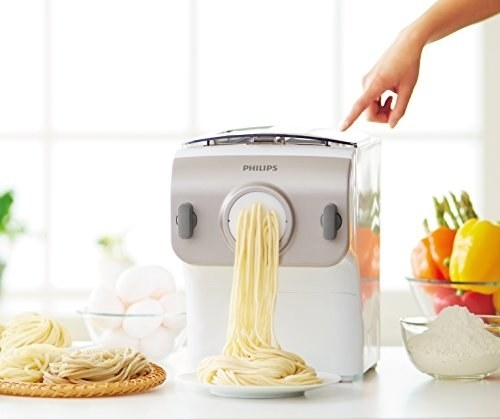 And a pasta machine that makes fresh, homemade spaghetti, penne, fettuccini at the touch of a button.